Great News! 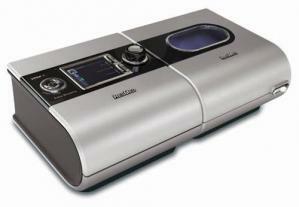 ResMed has released a new SV model. The VPAP™ Adapt is an adaptive servo-ventilator specifically designed to treat central sleep apnea (CSA) in all its forms while providing quiet and comfortable therapy. The VPAP Adapt algorithm adapts to the patient's ventilation needs on a breath-by-breath basis, and is synchronized to the patient's own recent breathing rate and flow pattern to maximize comfort and compliance. The H5i heated humidifier delivers market-leading performance. Designed to seamlessly integrate with the S9, the H5i offers relief from dryness and congestion. It automatically detects the H5i and ambient temperature and humidity in the bedroom when it is connected. Once you have connected your H5i, you're ready to go.